At Metairie Small Animal Hospital, our veterinarians and support staff have many years of experience diagnosing and prescribing treatment methods for dog behavior issues. We can help determine the cause of disorders such as separation anxiety and obsessive behavior, and then develop an effective, humane training program. Puppy training and adult dog training play a key role in helping you to raise a well-behaved and socially adjusted canine companion. There are many different methods of dog training, and recommendations naturally vary depending on the age of the dog and the severity of any unwanted behavior that has already developed. Not all methods prove to be reliable or humane, and we strongly recommend against pursuing radical or inhumane forms of dog training. Aggression: This is the number one reason dog owners seek dog training. Aggression is a natural defensive instinct in dog behavior. However, dogs must be deterred from taking hostile stances against people and other animals. These aggressive behaviors may include biting, snarling, growling, lunging and posturing. If your dog shows signs of aggression, it must be addressed. These behaviors will not go away on their own and will typically become more severe without intervention. Barking: As a dog's main form of vocal communication, barking conveys a dog's wants and needs. However, barking can also become an excessive and obsessive behavior that is a nuisance for you and your neighbors. 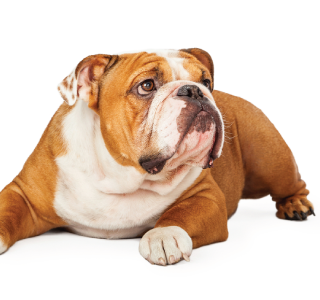 If your dog barks incessantly or for no apparent reason you should consider obedience training. Chewing: Chewing is an essential behavior in puppies and some older dogs, as a method of maintaining a healthy mouth. However, excessive chewing can indicate anxiety, hyperactivity, stress, frustration or fear. If your dog chews inappropriate items such as furniture, bedding or carpet, you should pursue dog obedience training. Food guarding: This is a behavior that instinctually dates back to a wild animal protecting its precious sustenance from other animals. However, in the modern day home, food guarding can lead to dog attacks and other dangerous interactions between humans and canines. This is a behavior that should be addressed when your dog is a puppy to set up appropriate boundaries for your dog. If your dog guards his or her food, this is a behavior that should be addressed sooner than later. Please schedule an appointment ASAP. Howling: Like barking, howling is a normal form of vocal expression. Dogs howl to announce their presence, attract attention and make contact with other dogs, and it is more common in some breeds than others. However, excessive howling can also indicate separation anxiety and even medical issues. If your dog howls excessively, we can discuss it at your next veterinary appointment. Mounting and masturbation: These are also normal behaviors in dogs of all ages for dominance, social and reproductive purposes. Even after spaying or neutering, many dogs continue to mount other dogs in shows of dominance. But in excess, these behaviors can indicate compulsion, stress and certain medical issues. Therefore, it is important to seek veterinary advice if your dog exhibits these behaviors abnormally. Mouthing: While this is perfectly normal dog behavior, mouthing can also lead to more dangerous behavior. Nipping and biting other animals or humans is totally unacceptable dog behavior that can lead to dangerous interactions. If your dog nips or bites during play or other interactions, dog training is essential to stave off potential disaster. Separation anxiety: This is a very common dog behavior. After all, you are the main living being your dog associates with, and when you are not there, your dog wishes you were. Negative behaviors such as destroying property, barking and having accidents in the house can typically be corrected with the right obedience training techniques. Some cases require medication to alleviate the severe stress that the dog is experiencing. Whining: This is also a normal vocal dog behavior. It can convey a need, but can also indicate anxiety, illness or injury. If your dog whines compulsively or incessantly, there could be a medical issue or condition causing this dog behavior to occur. For excessive and/or abnormal whining, give us a call and let's get your dog the care they need. Puppy training is essential to raising a well-behaved and socially adjusted adult canine. This is because behaviors learned or allowed during a dog's formative years are the ones that become ingrained in his or her consciousness as acceptable in adulthood. Because dogs age faster than human beings do, puppy training becomes essential to embark upon early in life. This is important in order to ensure negative behaviors are corrected before they can become ingrained as normal or natural. Puppy training should be started between 7-8 weeks of age. Between the ages of 8 and 16 weeks, there are many important milestones of behavioral learning for your puppy. During this time you will greatly benefit from the help of an experienced trainer. As your puppy ages, behaviors become quickly ingrained and certain behaviors become more difficult to change. It is much easier to mold the behavior of a puppy and ensure that your puppy is on the right track from the start. Puppy training courses deal with many common, but negative dog behavior patterns and will help your puppy become a disciplined and well-adjusted adult dog. We strongly recommend puppy training courses for every dog and dog owner. There are many philosophies and schools of thought on how to train a dog, but for us the answer is pretty simple and straightforward. You must start training your puppy as soon as he or she enters your household. Starting young is very important as they begin develop habits and learn behaviors (good and bad) very quickly. Throughout your puppy's different life stages training will always be important--just remember that consistency and persistence are key! Imagine your canine companion as an obedient, loyal and reliable friend on a leash or off. Imagine never having to worry about interactions with other animals or people of any age, appearance or demeanor. Imagine always knowing your dog will be well behaved in any situation. By undertaking dog obedience training, your imagination will take a back seat to the pleasant and peaceful reality of your everyday life. Dog obedience training is the key to a well-behaved dog. Our veterinary team specializes in various forms of certified and proven dog obedience training protocols. If you would like to discuss how to train your dog with one of our veterinarians, please contact us to schedule an appointment. We are here to help you learn how to train your dog humanely and effectively. If you're ready to enjoy the company of a well-trained dog, give us a call!